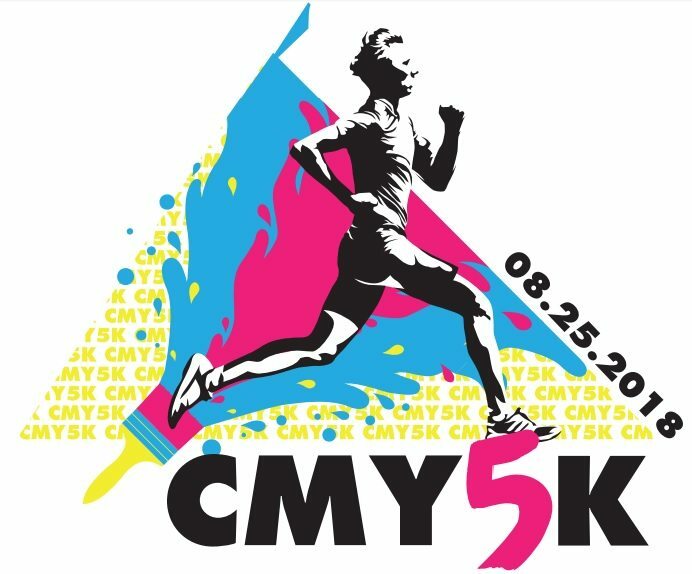 Taking its name from Cyan-Magenta-Yellow-blacK, the four colors used in modern digital and offset printing, the CMY5K Race for Art and Art Fair is both a fundraiser for Arthaus Projects and an opportunity for local artists to show their work and interact with the community. Taking advantage of the unique race location at the Lycoming Mall, participants, their families, and the general public are invited to come inside after the race, cool off, and enjoy an art fair featuring local artists and crafters. Proceeds from the event help keep the Arthaus gallery open, as well as funding public events throughout the year. 2018 marks the inaugural year of Arthaus Projects, a new nonprofit artspace developed by the founder of Converge Gallery. As a community resource Arthaus Projects makes contemporary fine art accessible to the local community, and provides greater career opportunities in the arts for students, emerging artists, and established artists that promote innovative, contemporary ideas.